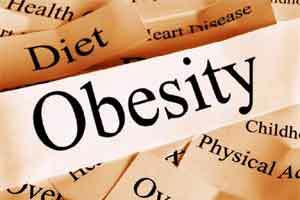 New Delhi : Exposure to air pollution leads to obesity and makes people prone to other lifestyle diseases such as hypertension and heart disease, a study has revealed. The study published in the Journal of Federation of the American Society of Experimental Biology said surveys have shown that high exposure to air pollution also increases insulin resistance, which is the precursor of diabetes Type 2. “The link between air pollution and obesity is indeed a new subject of concern. While it is already well established that toxic air is causing more damage than just to the respiratory system, but its link with obesity is certainly worrisome, because then indirectly it will also lead to a rise in obesity linked complications, like hypertension, heart diseases and type 2 diabetes etc,” it said. Researchers reached the conclusion after they placed pregnant rats and their offspring in two chambers, one exposed to outdoor air and the other containing an air filter that removed most of the air pollutant particles. After 19 days, the lungs and livers of the pregnant rats exposed to the polluted air were heavier and showed increased tissue inflammation. These rats had 50 per cent higher LDL (bad) cholesterol and 97 percent higher total cholesterol.